You didn’t really think I was serious about quitting Blythe, did you?! 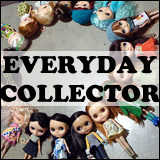 I am not going anywhere from the hobby, neither are my dolls (or their clothes, or the plentiful shoes). The whole crowd is staying, even the ones that don’t get photographed often at all (I am very sorry for that!). It was meant to be a bit of a joke (I know, I know, I have a poor sense of humour). But sometimes a little bit of a shock to the system can be a good thing. 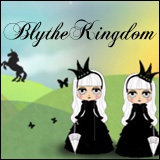 BlytheLife is not going anywhere, I will still be writing and posting as I’ve always been. As I near the end of my academic journey, I will probably spend a little bit less time replying emails but I will still do my best to reply within a few days. 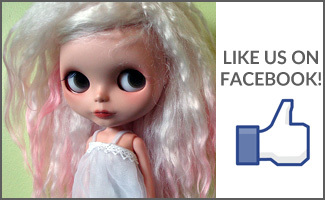 I do have a lot of fun things planned for BlytheLife over the next little while, so I am very much still excited to be blogging and taking photos of dolls and being a part of this online community. Ok, you scared the you know what out of me…I was convinced an alien had taken over your body and did something terrible to you!! 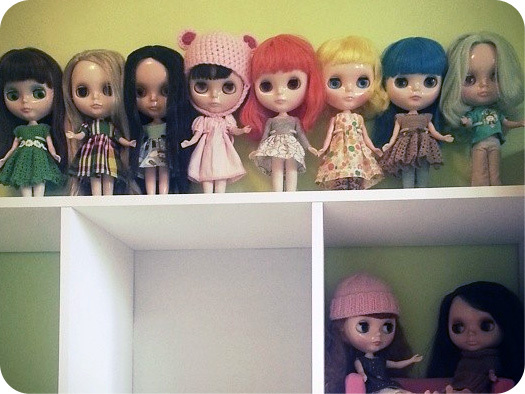 I thought all us Blythe lovers were going to have to stage an intervention! I need chocolate…now! Glad you are staying around! (understatement). Thank goodness you are only kidding! Because I was going to offer to adopt the whole LOT of them, just so that I could continue to enjoy the adventures of Sophie, Eden Mouse and the gang!